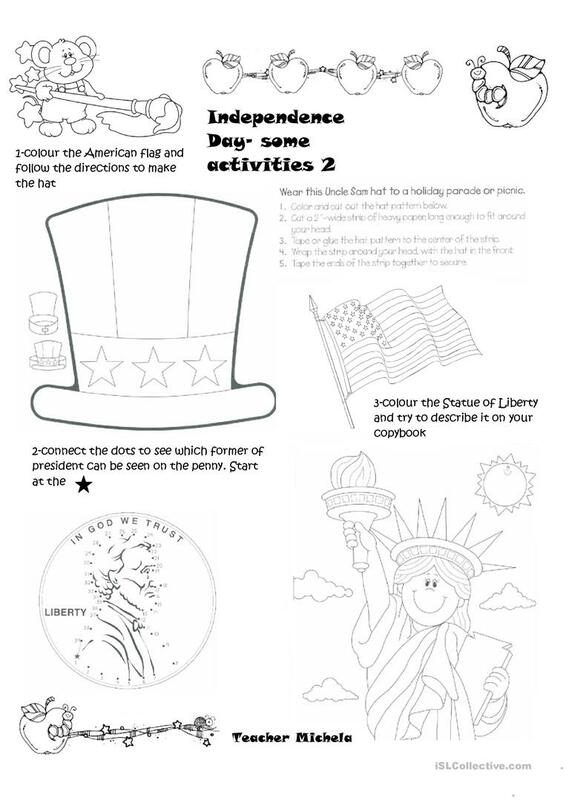 Another one with some funny activities about Indipendence Day, I hope you like it! The above downloadable worksheet was created for high school students, elementary school students and students with special educational needs, learning difficulties, e.g. dyslexia at Elementary (A1), Pre-intermediate (A2), Intermediate (B1), Upper-intermediate (B2), Advanced (C1) and Proficient (C2) level. It is excellent for honing your pupils' Reading and Writing skills.